There are many things that I’ve come to find hard to believe, but I was squarely confronted with another one this past week when my wife and I attended a two evening seminar on filing for Social Security and Medicare benefits. I’m not supposed to be old enough to be concerned with this issue yet there I sat! However, I did learn just how convoluted this entire setup is and how it is not hard to believe how these programs will destroy our country if they are not addressed and dealt with. Discounting the fact for the moment that such systems are not within the purview of government and outside the its Constitutional authority, we are in too deep to terminate them cold turkey; but we as a country must understand the truth behind them and wean ourselves off of them over the next few generations. There are several myths about social security that have become ingrained in our social conscious. First is the idea that it was designed to be a pension plan for retirement; that was the bogus lie used to “sell” the concept to the populace in 1937. Yet when the Supreme Court stuck the law down as unconstitutional, FDR’s attorneys argued that it was really just a general tax and so it was allowed to stand. A second myth is that the monies contributed are “held” in a trust fund for us. 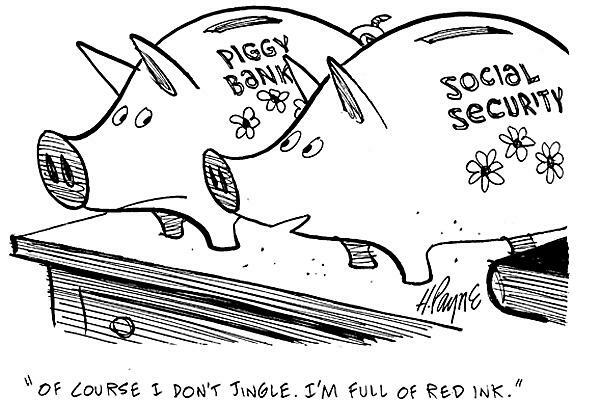 There is no social security trust fund as the monies withheld from our paychecks and matched by our employers has gone into the general treasury and been spent. A result of this first myth is the common attitude among retirees and those like myself who are closing in on that mile marker that those monies are “my money – I’m entitled to it because I paid into this plan.” Again, that is based upon the belief that Social Security was intended to be a pension plan, which behind the scenes it was not. Want proof? When the law went into effect, the average lifespan for the most Americans was 64 years of age; the retirement age to collect Social Security benefits – 65 years of age! The government was betting that for the most part, it would collect more in taxes than it would have to pay out because most would die before collecting their benefits! Such is the cynical tyranny of socialist governments. According to the Center on Budget and Policy Priorities, in 2015 Social Security benefits amounted to 24% of the federal budget. Medicare, Medicaid and other similar insurance programs added another 25%. A grab bag of other safety net programs took up yet another 10%. The problem – these percentages are only growing exponentially at a rapidly increasing rate. Witness how the projected date by government economists as to when these systems will be “broke” is a target constantly being updated to a date closer and closer to our immediate future. “That the error of trusting republican governments with this tyrannical power [i.e., creating pension and welfare programs], has probably caused their premature deaths, because they are most likely to push it to excess” (Construction Construed and Constitutions Vindicated, p. 341, published 1820). If you tax everyone and every organization, the tax base will be greatly expanded and thereby require a smaller tax rate than would otherwise be required. For the same reason, if everything is taxed, not only will the rate be lower, but politicians will not be able to monkey with the tax code via legislation so as to curry favor with special interests or voting blocks of constituents. Businesses will have lower costs and therefore their prices should come down. If they don’t lower their prices due to the decrease in expenses, then eventually free market competition from businesses that do will force each to become more price competitive. Non-citizens who pass through or come for tourism and make purchases, will be contributing to the tax revenue, thus again, expanding the tax base. Cities/states would no longer be able to use tax abatements to lure businesses to their locality which always makes the shortfall that results fall upon small businesses and homeowners. There are any number of ways in which this revenue could then be distributed to the cities, counties and school districts, and that would be something for the legislators to determine would be the best approach for their particular state. 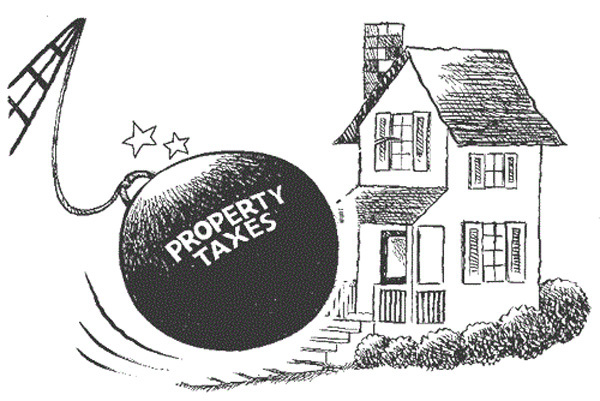 We do not need property tax reform; we need property tax R & R – Repeal and Replace. Without a property tax one thing is certain – when you become a homeowner it is you who are the owner. The state will never be able to seize your property because of a failure or inability to pay your property taxes. 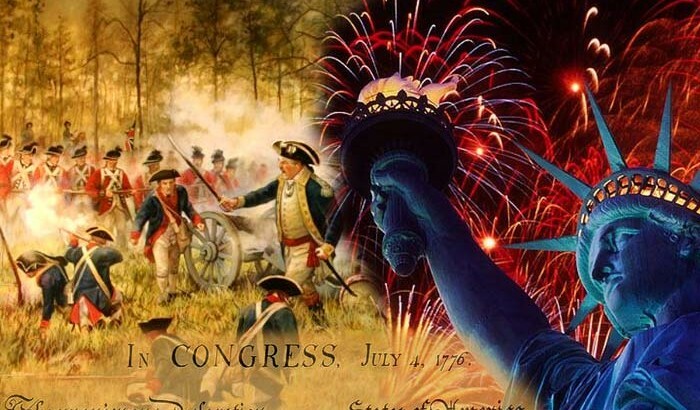 All patriots are acquainted with the opening phrase of the second paragraph of our Declaration of Independence. Yet I fear that too many have never taken the time to read and/or study the entire Declaration and the complaints lodged within it against the tyranny of King George III. One thing I am certain of – those in our government most certainly are not familiar with it, for if they were, they would heed the warnings within it and change the way in which they are exercising similar tyranny over us today. Consider these four complaints stated by Jefferson – complaints you will readily see should serve as a warning to those in our government today. Does this not reflect the myriad of government agencies that have proliferated over the decades that are suffocating our freedom and liberties with endless regulations and oppressions? Think IRS, BLM and the EPA just to list a few. Madison and others of our founders argued strenuously that the federal government’s powers were to be “few and defined”, whereas those left to the states would be “numerous and indefinite” (Federalist 45). Yet we see Congress, the executive branch with all its agencies, and the federal courts constantly and repeatedly overstepping their constitutional authority and subjecting the citizens of the several states to purported “laws” that are contrary to the constitutions adopted by the citizens of their respective states. You can scarcely find a more obtrusive and anti-freedom tax system than what we currently suffer under. Yet when we petition our representatives for relief, they talk much but deliver only more oppression – or if nothing else, stand idly by while the IRS runs roughshod over us. Yes, those who govern us would do well to revisit our Declaration of Independence and give heed to the message and warnings it contains. Pay your property taxes? Pay your income taxes? Comply with any EPA regulations regarding the use of your property? Comply with a multitude of local zoning ordinances or permits in regards to your property? We all know the answer to these questions as we’ve either experienced the consequences or know someone who has – the government, be it local, state and/or federal, swoops in and takes your property from you, fines you and perhaps even takes away your freedom by imprisoning you. Does this sound like a government described by Patrick Henry during the Virginia ratification convention in 1788: “for liberty ought to be the direct end of your Government”? My question hardly needs a response. 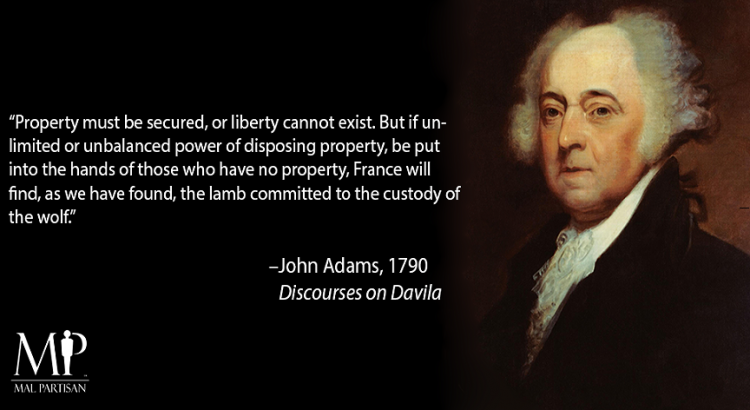 Let those words of wisdom from almost 200 years ago sink in. Have we not done what Taylor said we have no right to do, namely surrendered our natural rights to a capricious government? It is unfortunate that we cannot require all of these young people thronging to Bernie Sanders rallies to read Taylor’s writings before being allowed to vote. Matter of fact, maybe it would help if all Americans were to read the wisdom of our founders before they cast their votes; maybe then we could elect men and women who would see to it that our government met Patrick Henry’s stated purpose of government.